FA Design Build is a locally owned and operated, full-service design and remodeling firm serving the Northern Virginia area. It was founded in 2004 as a subsidiary of a Flooring America store. 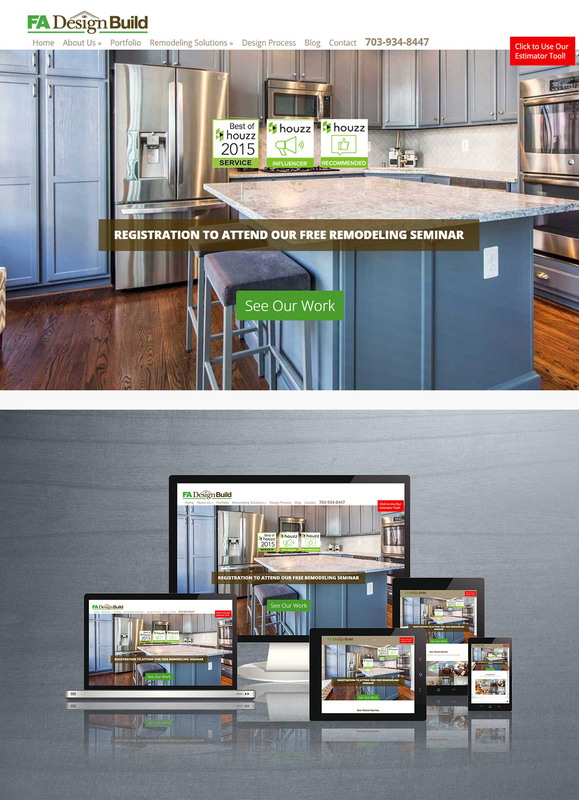 COGO was engaged to update the design of the fadesignbuild.com website, optimize the website for competitive searches on Google, develop a social media strategy, develop content for weekly social media posts and a weekly blog. We also created a customized estimation tool that allowed visitors to estimate their remodeling project.